It's amazing how time flies when you're having fun (or working). We've been back from our summer hols for a week now, and I've finally found the time to get round to letting you know about it. Believe it or not, I actually started off very well and had the photos edited and uploaded within two days, but just haven't had the chance to put our holiday into words. Anyway, enough about my time management skills, lets get on with our holiday. As has become a habit when we go away, we were up bright and early (4am) on Sunday (2 Aug) morning. We didn't have much to do other than pack the stuff that went on the back seat (boot too full) and strap the bikes onto the back. Whilst we don't live in a high crime area, I'm still South African so have an instilled need to remove all temptation where ever possible. Attaching the bikes took a little longer than expected as I was a little out of practice and it was nearly dark. Come to think of it, I think it's been almost 2 years since I last strapped the bikes onto the car. Anyway, we were soon on our way to Dover port at 5:20am and made it to the port with plenty of time to spare for our 8:10am crossing. Once in France is was a long slog down to Selongey, just outside Dijon, for our one night stop-over. Here we were very lucky in that we ended up camping for free, which wasn't intentional, it just happened that way. You see, Fiona had informed us that the campsite peeps come round to you in the morning to collect the night's fee. When we arrived the office was closed but the sign told us to settle ourselves; no mention of when you pay, how you pay etc. So Claire and I pitched our tent and then went off hunting for some cash so we could pay when the campsite peeps came round the next morning - we ended up in Is-sur-Tille not realizing that the part of Selongey we drove through was NOT all of it. 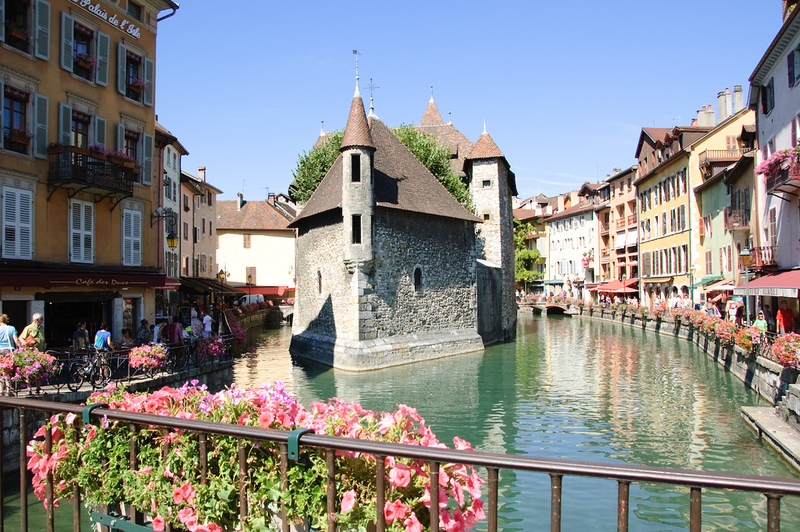 We later discovered it's actually a town with a bar and a bank and all the stuff small villages have :-) . Once back, we settled in for the night expecting someone to come round the next morning to take our cash. Well that didn't happen. Being the honest peeps that we are, we thought we'd go to them. So Claire popped up to the office to pay, but alas, en-route she watched the lady come out of the office, lock it, lock the gate, jump in her car and drive off. Brilliant!!!! One night's free camping. 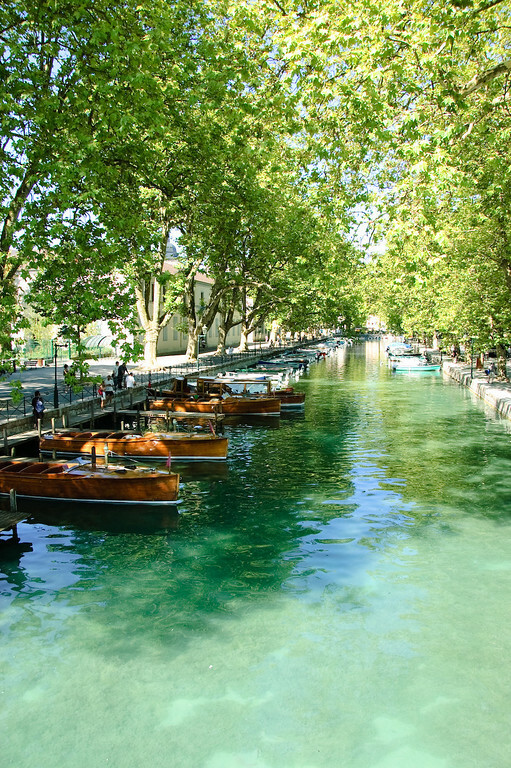 On this good news, we finished packing and set off for the final leg of our long drive to our "long stay" destination: Lac d'Annecy. In a word: WOW!!! This area is beautiful with the cleanest, clearest and bluest water I've ever seen inland, excluding swimming pools and other man-chlorinated bodies of water. 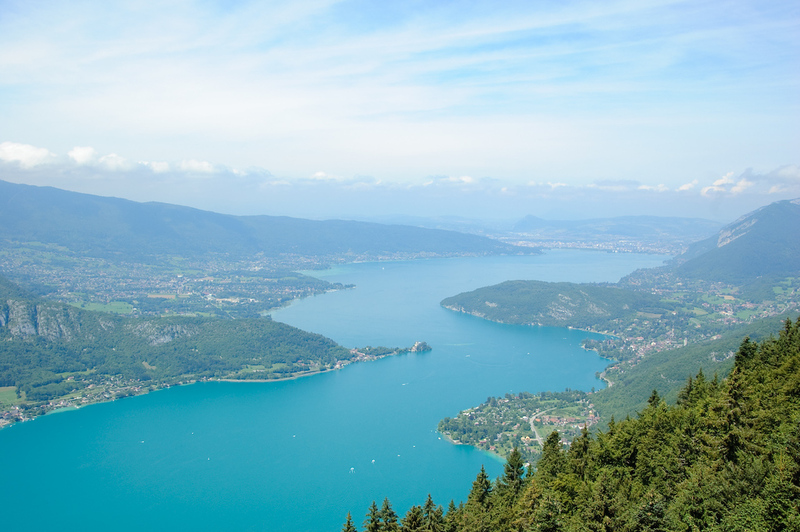 Lac d'Annecy is nestled in the French Alps on the edge of Switzerland and is apparently the cleanest lake in Europe thanks to some strict environmental regulations introduced in the 1960s following it's "filthification" by the hotels and businesses on it's shores. Unfortunately, it's not all good in the area - there is only one small road on either side of the lake so congestion is a bit of a problem. It can literally take more than 30 mins to cover 4 miles, like the afternoon when we arrived. Thankfully the western side of the lake has a car free flat cycle path along it so once settled in your accommodation of choice, there's very little excuse for driving in the area (just as well we brought our bikes ;-) ). There's also the added bonus that the lake is very pretty to look at whilst you trickle along. Once pitched on our rather odd split pitch (car on one side of entrance into field, tent on the other) alongside the cycle path, we settled in for 8 days of sun, lake, cycling and relaxation. The weather was fantastic. Mostly hot and sunny with only a few grey and slightly damp days. During those 8 days, we didn't do much in the way of gallivanting - we'd already spent a lot of time in the car on the way down. 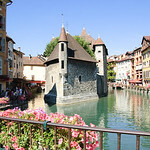 That said, we did drive to Annecy town itself to take in the sites and enjoying a very good lunch. We also took a drive up the mountain roads to see the lake from high up on the hills. This was particularly impressive. The views were fantastic. After 8 relaxing days, it was time for us to pack up and start making our way north towards home. We didn't have any concrete plans on where we were actually going to go on the way back. All we knew is we had 4 days to see something else before our ferry crossing back to Blighty on Friday evening. Originally we thought we'd take in the Bourgogne region on our way back, but then decided against it and thought we'd aim higher up, thus making the final drive to Calais a little easier on the Friday. In the end we opted for the Champagne region and set off. Unfortunately, given a rather soggy tent (due to some rain over night and high levels of condensation within the tent) we left site later than expected and then got stuck in the 30 minute traffic trickle back towards Annecy. This in turn meant we didn't actually get as far north that day as we were expecting and ended up having to spend a night in Radonvilliers, near Lac d'Auzon-Temple and Lac D'Orient just outside Troyes. It's just as well we did too as we were likely to have missed out on a great find had we not. That night we decided that our next stop, and the place we'd spend our next 2 nights would be Epernay. It has an inexpensive municipal campsite and we thought we'd be more likely to get a spot there than on one of the posher looking sites just to the north-west of Reims. Note, at this stage we didn't have a clue about Epernay. 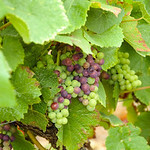 The next morning we took a leisurely drive to Epernay taking the scenic route rather than the motorway. 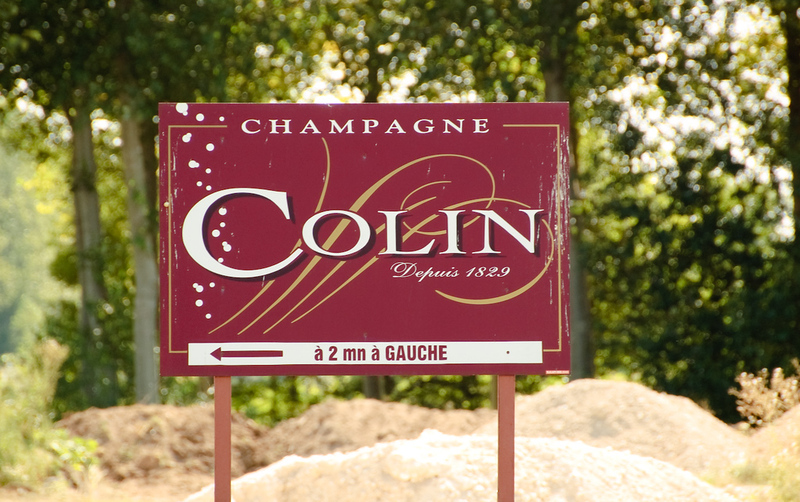 Just as well we did as we'd never have seen a sign that caught my eye and then wouldn't have taken the slight detour to see Champagne Colin, and then we would most likely not have entered Epernay via Avenue de Champagne. 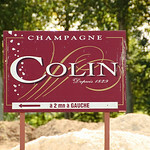 Yes, that's right folks, we entered the Champagne region by taking a detour to see a champagne named after ME!!!. Sadly they were closed and we couldn't find any in the shops, so we have no idea how nice it is. Lets just hope it's not quite a boring as their "factory". It was also Avenue de Champagne in Epernay which soon brought to our attention what Epernay is actually famous for - it's the capital of champagne country with big names like Moët & Chandon, Perrier-Jouet and Pol Roger having their headquarters on Avenue de Champagne in Epernay and their vineyards on the surrounding hillsides. The rest of the town itself isn't particularly exciting, but that's not why you go to Epernay. 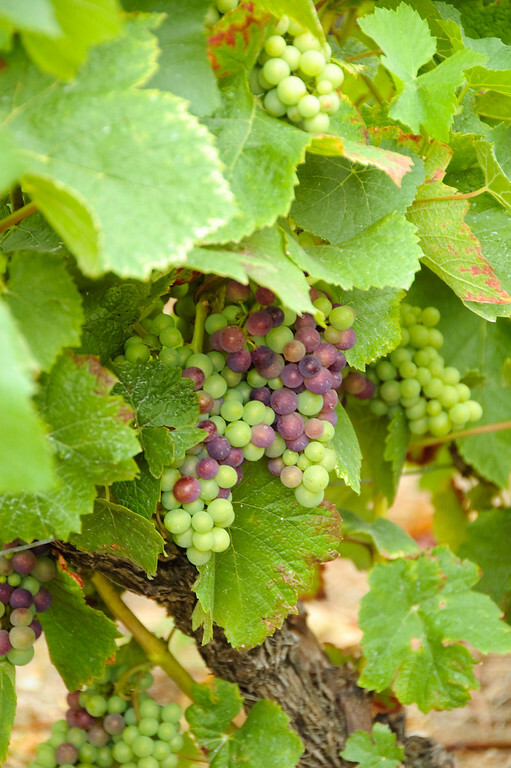 You would go to Epernay for all the champagne in the area, and there is a lot of it. It's like every man and his dog who owns a bit of land in the champagne bowl is using it for vines and is making their own champagne. Trust me when I say you soon loose track of all the different names. If you attempted to visit every single producer, in succession, in one day, I guarantee you won't be walking before you've even gone a quarter of the way round. You'd be so inebriated that your head would hurt for weeks. As we're expecting a little one, I was driving and it was "grand vacances" (ie most of France closes to go on holiday), we didn't stop in for any tasting sessions. Instead we drove most of the suggested tour detailed in our Michelin map book of France and took in the little towns like Hautvillers - where Dom Perignon's abbey and church are (no, he didn't invent champagne, despite what all the big producers will have you believe) the country roads and acres of vineyards. It was also great time to do some big name spotting: spotting their vineyards and caves and premises. We also spent the morning of the last Thursday in Epernay itself wandering around and having lunch. Friday was then home time and it was back to Calais for our ferry crossing. We had loads of time to kill so took the scenic route back via Boulogne for some last minute grocery shopping and then made our way on to Calais for our early evening crossing and onwards home. All in all it was another very good relaxing holiday and our last one just as a couple. Next year we'll be having our first family holiday. All the pictures are here for your perusal (they'll be viewable directly on this site in the next few weeks, I promise).